To compete, manufacturers want to achieve faster time to market without hiring large numbers of additional staff. One effective way to increase throughput is via process improvement and workflow optimization. 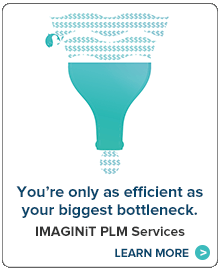 With a team of dedicated mechanical design software experts, IMAGINiT is uniquely positioned to help manufacturers leverage manufacturing CAD software and services to meet their design, CFD/FEA simulation analysis and data management needs. Autodesk® VRED™ Professional software helps users create high-end visualizations and virtual prototypes in the automotive development process and CGI production. Autodesk® SketchBook® Pro is the widely recognized digital sketching solution that delivers powerful tools for ideation, creation, and collaboration. With new enhancements and an ongoing focus on stability, Autodesk® Maya® software helps artists work faster and more efficiently than ever. Updates to the modeling, animation, and motion graphics workflows, as well as a new interactive grooming workflow for hair and fur, continue to push the boundaries of what is possible with Maya. 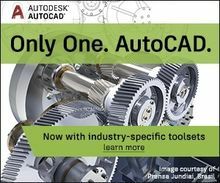 Autodesk® AutoCAD® Inventor LT™ Suite delivers Autodesk® AutoCAD LT® and Autodesk® Inventor LT™ software, providing a cost-effective way to introduce 3D mechanical design into 2D workflows.